The report finds that the top 20 percent of households earn 52 percent of income, but pay 69 percent of all federal taxes. If we look strictly at income taxes, the top 20 percent of the country pays 88 percent of federal income taxes. 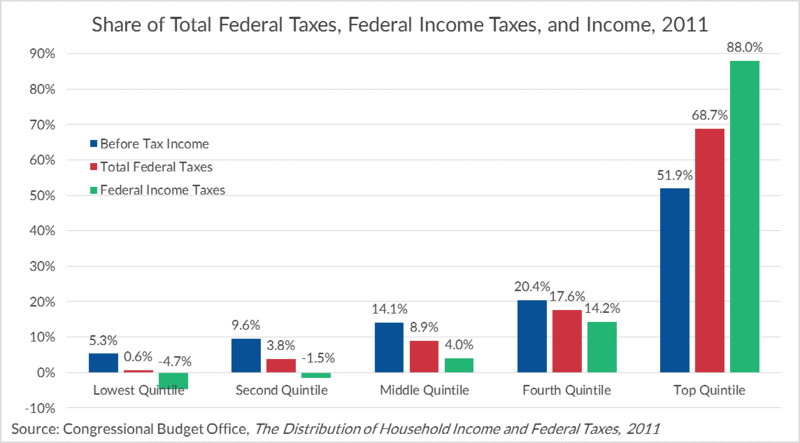 Each of the four other quintiles pay a smaller share of total federal taxes and income taxes than their share of income. Additionally, the bottom two quintiles face negative shares for income taxes, which means they receive more back in taxes than they pay. Households with higher incomes also pay higher average tax rates. 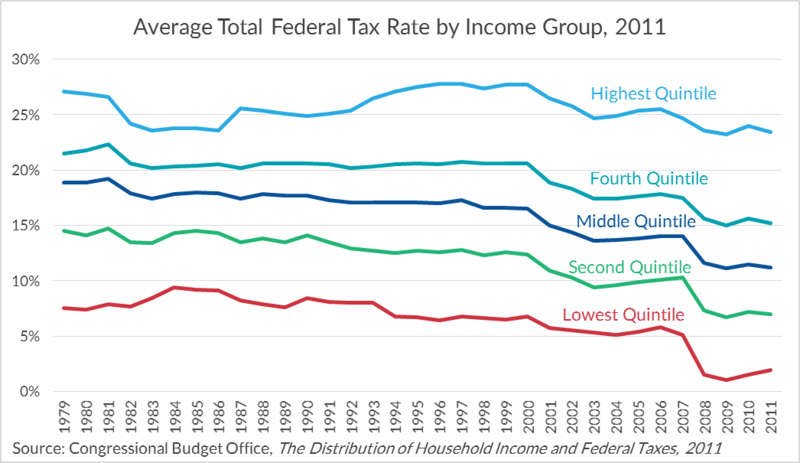 For total federal taxes, the top quintile faces an average tax rate just below 25 percent. This average tax rate is sure to rise following the tax increases on the top two tax brackets at the start of 2013. These findings are as expected. The individual income tax system in the United States is highly progressive. While lower income households pay other taxes (payroll taxes, corporate taxes, and excise taxes), the federal tax system remains progressive when considering total federal taxes.